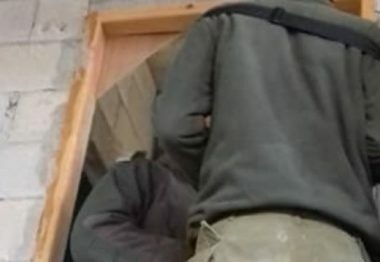 Israeli soldiers invaded, Wednesday, a Palestinian home in Beit Ummar town, north of the southern West Bank city of Hebron, to conduct training on home invasions and searches. Activist Mohammad Awad, told the WAFA Palestinian News Agency, said the soldiers, including undercover officers, invaded an under-construction home, where Ahmad Abdul-Hamid Moheisin and his son were staying, and conducted training simulating search operations. Awad added that the home is located in the al-Mantara area, north of the town, and that the army never informed the family of their intention to conduct training in their property. It is worth mentioning that the army frequently invades Palestinian communities, and homes, in several parts of the West Bank, not only to abduct Palestinians and conduct searches, but also as part of military drills, especially for new army recruits. The army also constantly conducts live fire training, including the use of explosives on Palestinian lands, especially near Hebron, in addition to the Jordan Valley and Tubas, in the occupied West Bank, and near Palestinians communities in the Negev. Many Palestinians, including children and shepherds, have been killed and seriously injured due to the military fire, especially the explosives dropped by the soldiers during training.